Gospel artist Weezdom has exposed Bahati’s fiancee Diana Marua for being the reason why he quit EMB records. The Singer says that there are so many changes that came in the record label with Diana Marua in the picture and this was the main reason why he quit. The two artists have been keeping lowkey about what really happened and they never got into details. Weezdom decided to come clean about the happenings after another EMB artist Mr Seed announced his exit. 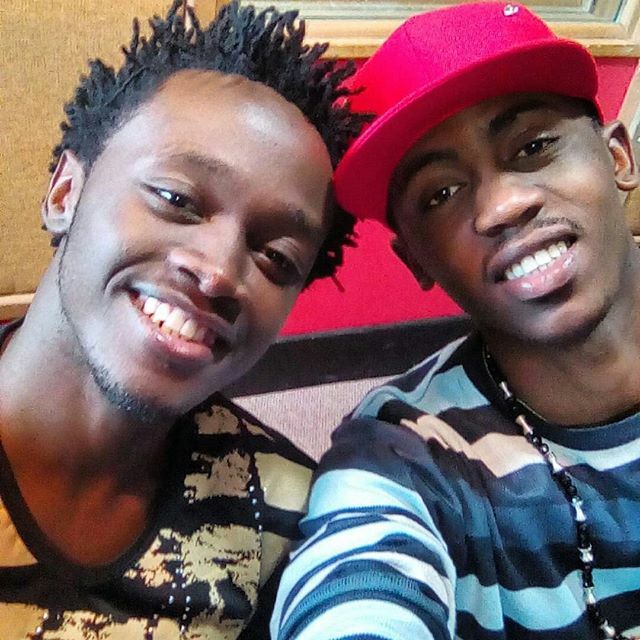 Weezdom mentioned that there was a clash between him and Bahati and they both know that Diana Marua had a hand in it. The Singer also mentioned that he did not want to go into detail but he feels that Diana Marua might have felt insecure about the big plans that Weezdom and Bahati had. Weezdom says that the moment Diana Marua got into the picture, their big plans crushed and he saw that he did not have a future. Speaking to Mseto East Africa, Weezdom said that after his exit, he went through so much before he could get back on his feet. The artist also added that after his exit, Bahati went ahead to delete all the songs that he had released under his record label. They however had a meet up to sort their differences and Weezdom told Bahati he should make sure that no artists signed under his record label should go through what he went through. On whether Diana Marua was also the reason why Mr Seed left, Weezdom says that only time will tell. The artist says that he felt like Bahati was looking down upon him after he started telling the public that Weezdom wasnot good in the music game. Weezdom however, says that he has forgiven him and is not bitter anymore since he has got back on track.